Marijuana Dispensary Jobs are available in 18 states that have decriminalized marijuana for medical use as well as Colorado and Washington which have made marijuana legal for recreational use. Jobs in marijuana dispensaries range from bud tenders, security guards, growers, accountants, marijuana edibles chefs and many more. If you are looking for a job or a career change and are looking into the marijuana industry, then a marijuana dispensary job may be the right move. Prior to applying for a job in a marijuana dispensary there are a few things you should know about. Medical Marijuana Dispensaries are places that sell medical marijuana and edibles to marijuana card patients for medicinal use. Dispensaries employ people to grow the marijuana, and people to sell the marijuana to their patients. If you are applying for a job in a medical marijuana dispensary you should always play to your strengths. If you are not an experienced grower, then you should not apply for a marijuana growing job as this will be a slim chance you get hired for the position as most dispensary owners do not have the time to teach you what is needed to succeed at growing marijuana. If you have great people skills, then you should apply for a bud tender (pharmacist of weed) job, or the front desk greeting marijuana patients, or a security guard position. There are so many people applying for jobs in marijuana dispensaries that it has become near impossible to get the time to meet face to face with dispensary owners, making it very difficult to find a job in a dispensary. Your best bet is to attend a Cannabis Convention & Job Fair where you have the opportunity to meet with the marijuana industries leading business owners, growers and many more, giving you the best chance at finding a great job working with marijuana. 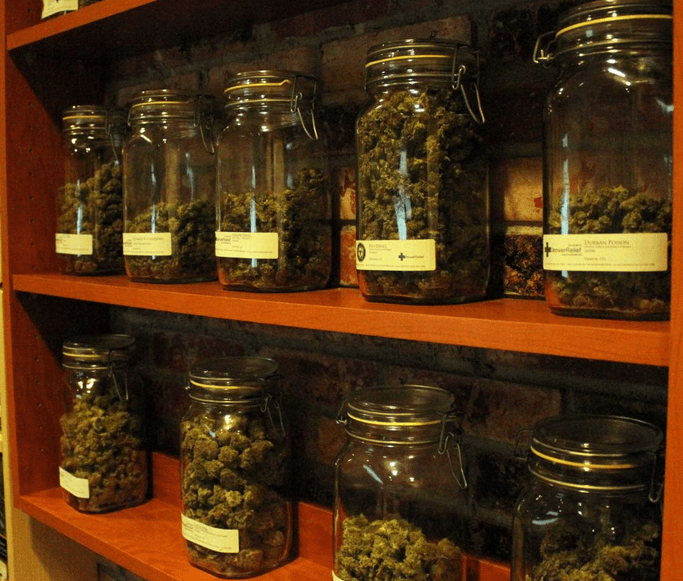 Marijuana Dispensaries are responsible for growing at least 70% of their own weed that they sell to their patients. Most dispensary owners do not have the space or the manpower to accomplish this so they end up contracting the work out to quality cannabis growers in their local areas that have warehouses or greenhouses where they can grow marijuana in bulk allowing them to mass produce at low costs to the dispensaries. Growing marijuana is a dream job for most anyone that is interested in marijuana, although 90% of people that want a job growing cannabis plants end up getting rejected due to a lack of knowledge when it comes to growing high quality marijuana. If you are looking for a career or job growing marijuana then you should first educate yourself on how to grow hydroponics & soil, how to build grow rooms & grow systems, differences between chemicals and nutrients and most importantly, educate yourself on the thousands of different strains of cannabis as each strain grows differently and requires different things to grow properly. Without this knowledge, finding Dispensary Jobs can be very difficult.